The Akashic Record or "Book of Life" has long been a story or myth surviving from ancient times to tell us that we all have an "etheric place" where our collective and individual memories are stored. This fascinating subject has part of our world's many cultures for centuries. June 09th 2005 - The Akashic Record or "Book of Life" has long been a story or myth surviving from ancient times to tell us that we all have an "etheric place" where our collective and individual memories are stored. This fascinating subject has part of our world's many cultures for centuries. Like many ancient stories, it has existed there for us to ponder, perhaps dream about and becomes subject to the question, is this really a divine place or simply a fictional tale? The cliché that has been a part of our collective consciousness for a long time is - each of us is a sum of all that we've experienced. In the realm of psychology that has meant that we all become who we are, based on our past experiences, how we were raised and even genetic predisposition. No one could argue with the fact that our past can dictate who we become and shape what we perceive in our external experiences. With newer quantum theories that have emerged, such as Ervin Laszlo's A-Field Theory, we can now place more credence on the ancient myths and stories of our ancestors. Through scientific discoveries, we can now perhaps believe that the Akashic Records are real and exist as a zero-point energy field as stated in Dr. Lazlo's book Science and the Akashic Field. This new information has led to the Akashic Records being called in a more modern sense the Akashic Field or A-Field. This seems more relevant and substantial as a descriptor for this very important discovery. Edgar Cayce, America's Silent Prophet, performed hundreds of Akashic Record readings while he was alive. Each of his sessions, are carefully documented. There are also many gifted, intuitive people who offer such services to others. They are able to access the Akashic Field and providing insight to those they work with of past events, past lives and what situations may be repeating for them in their current lifetime. Most of this type of Akashic Records work has been categorized as either "new age" or "psychically" obtained information. People in the world have a varying degree of belief in psychic or intuitive gifts even with the presence of many real and unexplained phenomena that have been documented over the years. Of those that believe in such gifts, many then believe that such gifts are endowed to only specific lucky persons. I believe that each of us is interconnected due to the Akashic Field and have access to a wide variety of information that many may simply not be aware of yet. If intuitive people can access information for others where does the information come from? If the Akashic Field contains all events that have ever been or shall be, then is this where all such information comes from? Is an intuitive person's ability to gain information for a person that they otherwise would not know an ability to read information directly from the Akashic Field? Recent information would such that the answer is YES. It would also mean that EVERYONE has varying degrees of skill accessing the A-Field. Our lives have become very complex, causing the Akashic Field to reach a type of critical mass. When life was simple perhaps we could balance the energy and awareness of our experiences with greater ease. This allowed us to balance the energies of the Akashic Field before leaving a life experience rather than it being left unresolved. Right we are bombarded with information overload. What can our consciousness process fully? We talk of acceleration and ascension a great deal as opposed to 10 years ago. The New Age was born for many of us. What is this really? It may very well be that our higher selves are sending us a "wake-up!" message to clear up our "soul stuff". It is my belief that the Akashic Field is the primary energy grid for each of us. We all have the same access. As we acquire new experiences in life we are continuously storing our information in the Akashic Field. The A-Field is infinite and comprised of a polarity between positive and negative aspects of energy. Happy experiences or balanced ones are stored as positive energy. Unhappy or those we judge as undesirable are stored as negative energy. The more positive expressions stored there, the easier we can manifest in our lives. The more negative expressions, the heavier the weight and the more stuck we can become. The Akashic Field stores every single thought, moment and response we have regarding all life situations. We all have a past history that gives us clues about who we are now. Whether we live one life or many, our past can be an important piece as we grow and evolve in our current life experience. Though many of us seem to live in the past, our history can assist us with a greater depth and understanding of what choices we may want to make in the future. Accessing the enormous database of the Akashic Field can give is a wealth of information that will be useful to us on our search for enlightenment and truth. We should not solely focus on the past or exist there. Many find it hard to let go of our past and embrace the now but it is crucial that we do so in order to have a forward motion of growth in our lives. The Akashic Field can be a useful tool that can help us discover what events, patterns or beliefs have led us to react certain ways or make certain choices that we do. The past can be a stepping stone toward a brighter and more self realized future. The Akashic Field holds everything that we are, all memories reside there awaiting greater understanding and resolution. "Temet Nosce", which means to know thyself may have become somewhat popular when used in the movie, The Matrix. Do we ever really know ourselves? Many of us now endeavor to know who we are on the inside. Through self-help, spirituality, philosophy and other means, we try earnestly to see ourselves with greater clarity. We are all children attempting to emerge with greater understanding and knowledge. Self awareness is key to understanding our present. Our perception of reality is uniquely our own and thus affects our choices. Our truest struggle is our emergence from thinking in the past in order to create our future. We all essentially live from the viewpoint of our past experiences. Our reactions to life are based on our memory of past events. Our fears of similar outcomes block our manifestation of tomorrow. We are co-creators and our life is a reflection of each of us. Our energy is never destroyed and it is through releasing our limiting beliefs from the Akashic Field that we can move forward into a future that reflects what we truly deserve. Our future can be expanded rather than staying fixed on a limited view or perception. Our unresolved issues limit our perception of is possible for us. The Akashic Field is perhaps the greatest discovery that has been made thus far in our evolution as a people. We now have the capability to gain access to this powerful information in order to grow and attain more enlightenment. We can gain access by directing our intention to this powerful field of energy. Through meditation and other methods such as Akashic Field Therapy SM we can truly set our souls free in a way never before realized. About the Author: CJ Martes is a theorist who researches effective ways to gain access to the information stored in The Akashic Field. 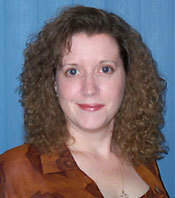 She is now the leading researcher and developer of Akashic Field TherapySM. CJ's years of work in vibrational healing and intuitive guidance led her to discover this powerful method as a way for people to obtain a greater quality of life. She now works with clients all over the world helping them clearing limiting subconscious beliefs and patterns. She can be contacted by visiting her website: http://www.cjmartes.com or by calling (816) 841-4890.